Killer tattoo, bro. Not that we needed further proof that America is filled with morons…but, TMZ provided it anyway (thanks for the heads up, LT). 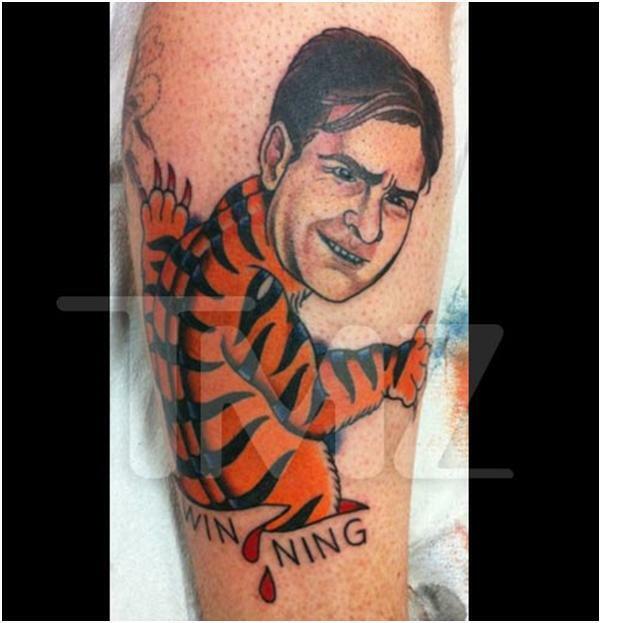 Even Charlie Sheen knows this jerk is a lot of things, winning is not one of them. This entry was posted in Movies, News, Sports and tagged Charlie Sheen, Charlie Sheen Tattoo, Some Moron got a Charlie Sheen Tiger Blood Tattoo, Tat, Tiger Blood, TMZ, winning. Bookmark the permalink.